Today, I’m really proud to introduce you to the first installment of Hubstaff University. At Hubstaff, we’ve been working on more than just our time tracking software. We’ve also been working hard on a training arm that will include webinars, hangouts, books, manuals, and videos that will revolve around building a remote team in the best way possible. Over the course of running businesses over the past 10 years, I’ve managed well over 100 people. In this guide I’m going to show you my exact strategies for building and running successful remote teams. Part 1 – The 50k Foot View – The general theories, mindsets, and foundations that you need to run a successful remote team. As I mentioned above, we’ve got a lot more training coming in the future. When we develop more of this type of content we’re going to build it around your needs. 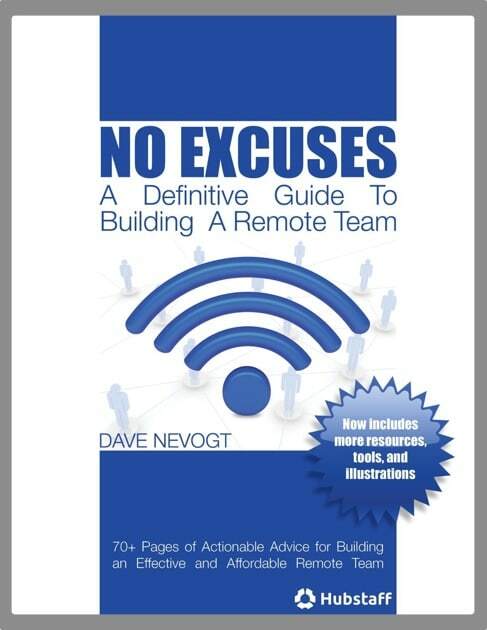 So what do you need the most help with in your remote business? What would really help your team become more productive and focused? Let us know and we’ll address these topics in upcoming training. P.S. If you’d share this guide and/ or comment below it would really help! Thank You!